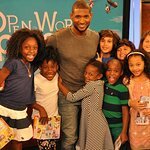 Usher’s New Look Foundation is a youth empowerment initiative created by Usher to empower young people from under-served communities around the world, to create change in their communities through their own solutions. Through Powered By Service, a peer-to-peer, youth empowerment, curriculum-based, leadership training program, youth around the world are certified as leaders, exploring four different pillars – talent, education, career and service. This certification program is backed by Emory University. The goal of Powered By Service is to give youth the tools and resources they need to succeed as leaders in their communities and around the world. Founded in 1999, New Look has since mentored over 9,000 youth through over 150,000 hours of training, making service more diverse and relevant. 98% of participating teens, graduate high school and go on to college. 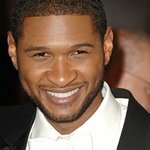 Google trends for "Usher's New Look Foundation"
We don't have any videos related to Usher's New Look Foundation.